Last year, automakers were reporting that “older” consumers were making up the lion’s share of new car buyers. Apparently, they didn’t believe their own numbers, as a new study shows that that same cohort is still buying more new cars than the 35- to 44-year-old age group, who were most likely to buy four years ago. So who’s responsible? You guessed it. The Boomers who refuse to age, and apparently, refuse to give up their car keys. According to a new study by the University of Michigan’s Transportation Research Institute, the 55 to 64-year-old age group, or older Boomers, has now become the demographic most likely to buy a new car. The study found that those consumers had the highest rate of vehicle purchases in 2011, while the youngest age groups had the lowest rate. Even consumers age 75 and above bought cars at a higher rate than 25 to 34-year-olds and 18 to 24-year-olds. Industry insiders believe that one of the main reasons behind the numbers is that people are staying in the workforce longer, and thus remaining in the automotive market longer as well. Today, most Boomers live in the suburbs and expect to age in place in their homes, or are stuck in larger homes whose values have fallen. Driving is viewed as the key to independence and even self-worth. 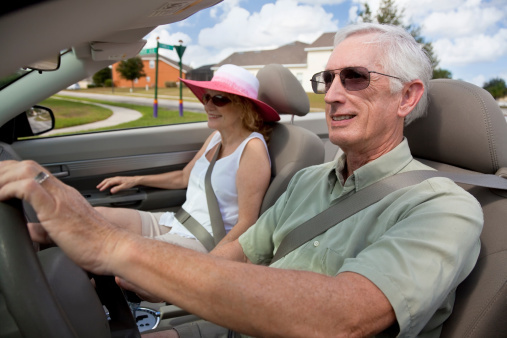 Given their propensity to remain independent, the next 20 years will see the number of U.S. drivers over 70 triple. 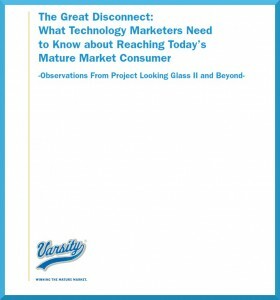 From a marketing perspective, auto manufacturers have been throwing good money after bad, spending billions to try to reach Generation Y and younger consumers – who are not driving as frequently or in as great numbers as the Boomers. Sivak notes that automakers are having to rethink marketing to older drivers, who are no longer content to buy a large luxury sedan and drive it for 20 years. A good point is, however, that Boomers are not their parents’ generation. They expect to continue working and driving long into their later years. The challenge here is for automakers to develop models that cater to the specific needs of this aging population, without alienating them or younger cohorts. MARKETING INSIGHT: The aging of one of the country’s largest generations will have a lasting impact on the automotive market. There’s opportunity here for automakers to roll out more compact and affordable models that specifically meet Boomer needs. As Boomers age they increase the amount of participation in daily sport and leisure activities. With more Boomers working longer and having larger household sizes than previous generations, fuel efficient, compact vehicles, which maximize passenger and cargo capacity, may be an attractive purchase for this still relatively wealthy cohort. For the senior living sector, it could mean providing more facilities to accommodate automobiles for those who continue to work and remain behind the wheel. In our research, Boomers looking at current CCRCs were turned off by the dearth of resident parking, and the absence of covered parking. For local and state municipalities, this could mean investing in public transit and new roadways, and promoting the building of compact, walkable and mixed-use communities that minimize the need to drive as their residents age.